﻿I have always been one who liked to help. I never liked to see people sad or hurting or in need, and seeing those things always made me rush to help. It's how I'm hardwired, I'd say. This blog, in a way, is my attempt to "help" in some small way and has been on my mind for years, actually. I'll explain. Several years ago, I was diagnosed with food allergies - only 3, but doozies. I was told I was allergic to lobster, peanuts and soy, so I needed to avoid ALL nuts (peanuts and tree nuts), ALL seafood/shellfish and fish and ALL forms of soy...or I would die because we weren't sure I could tolerate the steroids that would be needed to help me in the event of an anaphylactic reaction. Needless to say, that was motivation to avoid such things and to behave when it came to eating. Actually, in truth, I was more paranoid, and it was no way to live, I assure you. I had another allergist tell me over a year after my diagnosis that the doctor that had diagnosed me had done me a great disservice in making me so afraid, but that's another story, and it turned out that I was NOT allergic to those foods (I passed an oral food challenge at the allergist's office for all my allergy foods with no reactions whatsoever). Whether it was that I was misdiagnosed or that I was miraculously healed, I'll never know for sure, but I can tell you this - I am grateful for the experience. "How can you be grateful?" you may wonder. "The doctor made you paranoid, and he was wrong!" Well, I can only say that I know, though the circumstances looked bad, things were working towards a good that I can only attempt to explain. I was able to learn a lot about myself and how foods effect me. I lost a lot of weight (well over 100 lbs.) and I became the healthiest I've ever been. When I got away from some of the things I'd learned, I put on some of that weight (I'm working on losing that now and it's not been easy! ), and I realized that I needed to go back to those things that I had learned. The diagnosis was allowed to happen for a reason, and I need to heed what there is for me to learn and apply it and share it. "That's great," you may be thinking, "But what does it have to do with this blog?" I'm getting to the point, I promise! :) Bear with me. When I lost all the weight, people asked me all the time how I did it. They thought I was exercising like mad and eating like a bird. Truth of the matter was, I exercised very little and ate pretty much the same amounts as I always did. I still ate dessert even, and no small portion, mind you! I was a bit puzzled on the how I was losing weight at first myself. I lost at least a pound a week. At first I thought it was because of the allergies and not eating those allergens helped me lose the weight. Well, I was on the right track, but that wasn't quite right. In this list of "allowed"s, I found that the things I were eating were not necessarily organic, but they were still far from processed. I was eating only things with "natural" names. No monosodium glutamate, no xanthan gum or any other weirdly worded ingredients, as well as no product that was not original meant for human consumption (like soy - it honestly was never meant for humans to eat, hate to tell ya, so I think it's best to avoid, despite the supposed benefits it has). I was eating things as they were intended to be eaten: from the earth without humankind's helping them along with chemicals, processing and preservatives other than salt. So, now I had an answer for all those questions: Natural foods, not necessarily organic, but the less ingredients, the better, and nothing that was a chemical/preservative that was not designed for human consumption or processed to death. That meant that a lot of things have to be made from scratch, but that's ok. You might think that makes things horribly expensive, and it does cost a little more, but I found that you eat LESS when you make it from scratch. Go figure. :) I found that it evens out, and when you are FEELING better, it is worth it! In 2012, I was diagnosed with Fibromyalgia. This started a whole new journey for me that let me rediscover how food, environment, attitude and physical activity all affected me. I was again grateful for my experience with food allergies because this helped me figure out my pain triggers a lot quicker than a lot of people, and helped me approach my health in a more natural way vs. pain meds and prescription drugs which is not a way I wanted to go! 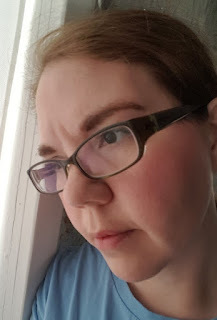 Now, as long as I do the things that help my body, I am Fibro-free! Ok, now to the point of this blog (Finally! I know! :D ). I realized that there are a lot of people out there with food allergies, with chronic illness, who just want to lose weight, or who want to eat better and haven't the slightest idea of where to turn or how to start. This is where I think I can help. 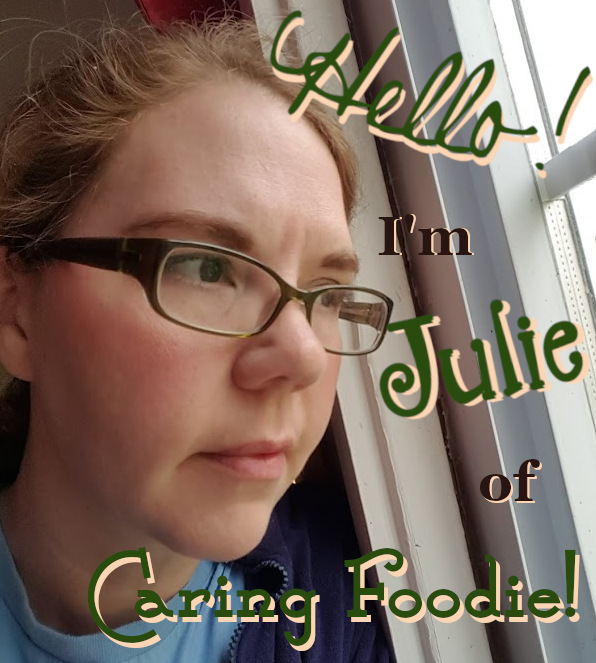 At any rate, I will be listing allergy-friendly recipes here as I try them with my own personal review, helpful information about living with chronic illness or allergies, inspirational stories, my personal health journey, and more! If you want to message me with a particular need, say egg-free recipes, then I will look some up and even try them before I post them so that you know they taste good. :) Please know in advance that any recipes I post will not necessarily be low calorie, but it will be as natural as possible. There is nothing wrong with any natural food eaten in moderation - you will lose weight doing that. It's the preservatives/chemicals/processing that make us hoard weight; I know from experience. Please note that I am not a professional chef, medical professional or a dietitian (and please, PLEASE, ALWAYS take their word over mine - they know best). I am just sharing what I have learned from personal experience. If you want to call me crazy, you may do so. I just know what happened with me, and felt it was so profound I needed to share. I hope that in some way this blog can be of help to you. I am so glad that I happened onto your blog today! I was searching for information on soy as I have a sensitivity issue with it. It appears that when I eat Edamame, I get a terrible burning sensation on my tongue and it feels like it is swollen and my mouth gets extremely dry. Very uncomfortable to say the least. I just went on the Medifast diet last Friday as I need to lose close to 100 pounds of fat! Everything was going along really well, I had lost 6 pounds in 6 days and was excited for the future and the possibility of finally being free of all this excess baggage and in a shorter amount of time than my previous weight loss programs! But alas, my tongue began to swell, burn and get dry and it increased every day! I realized that this experience with my tongue was familiar----the Edamame episode came rushing back to my memory. So I looked at the ingredient list on the Medifast meal replacements and found that everything had soy in it! I was terribly discouraged and at the same time determined to eradicate this enemy from my life! So I needed some info fast so I could get my self some relief and still eat healthy! Enter your blog and what a wonderful find it is to me indeed! In reading through your information and finding your testimony and reason for starting this sight, I feel I have found my answer to not only why I have been unable to succeed in weight loss but that my intuition of eating all whole and natural foods would be my saving grace from this personal prison! My husband has been telling me for years that we need to stop buying processed foods, but I would not listen because I thought convenience was more important than spending the time to make good wholesome meals! You know the microwave age! Reading your testimony here has given me hope for the future that I too can see my weight normalize to a healthy place as I invest in wholesome foods! Thank you so much for sharing and being a resource for my journey! Thank you so much for your comment! I am so glad that I have been a blessing so far. I know just how hard your journey is, and I know how easy it can be to want to give up, especially if you don't have the support you need. I hope that I can continue to be part of that encouragement. That's a very inspiring story and I think it's a great help for people to be able to find allergen free foods. Many thanks. Thank you, and the same to you about your story!